Hi everyone. New FZ 07 owner here. Only had the bike for 5 days. Lovin' it!!! 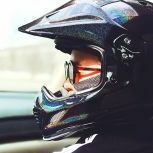 I'm an old hand with Bikes and have been riding since my teen years, (I'm 50 now). I have owned Many different bikes over the years. From 1970's era CB125 to an '89 ZX10 (which was my last ride). I had to stop riding bikes 10 years back due to an eye problem that was causing me to see Double upon occasion. The problem was solved with a pair of prescription glasses, but it threw off my balance a bit and I didn't feel safe riding on the street. Fast forward 10 years. My brain has had time to process the way my Eyeballs work, and I no longer have any vision/balance problems. I've been riding a Dirt Bike for a couple years, and decided that I needed a Street Bike again. But, what to get? .....I no longer feel the need for a full blown Crotch Rocket. Been there done that. I started thinking about my Biking Roots and remembered one of my all time favorite rides. In my Twenties I had an old Yamaha XS400 Twin. I bought it for 300 bucks and spent a couple hundred more turning it into a Cafe racer. Loved that thing and Rode it into the ground. Sounds sorta Familiar, doesn't it ..... 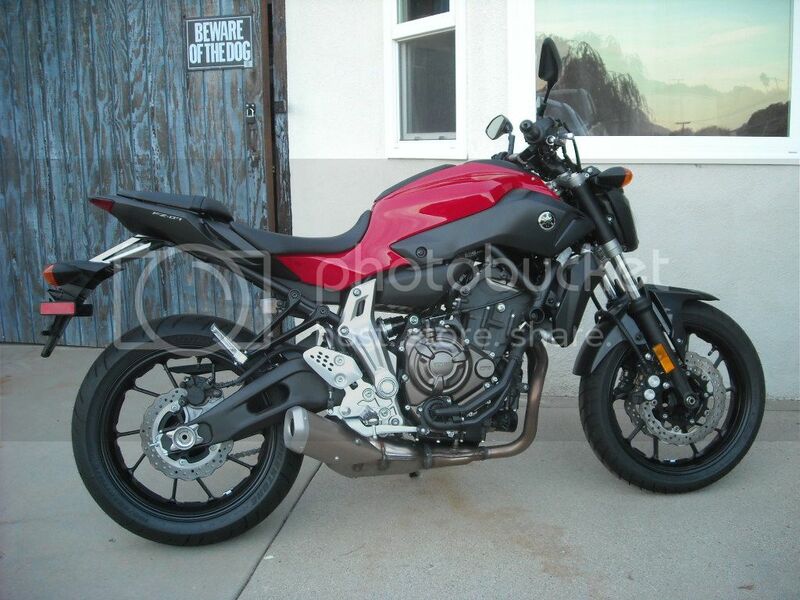 I knew the FZ 07 was special the moment I layed eyes on it for the first time in person. Did some research,,,,and Yeah.....it has a few flaws,,,,but it's perfect for me right now and I am so Stoked to have purchased it! Welcome redharris! I'm glad you're able to ride again and this is a good bike to get back into it with. I definitely don't have your problem with the seat and tank! Welcome redharris! That's a good lookin' bike! The red will definitely grow on you, it's the only one with the black frame. We have a very scientific poll about color. Participate here. Thanks for joining! I just picked up my bike this week as well. Where did you get yours from? I got a fairly solid deal on a 2016 from Del Amo Motorsports in Costa Mesa, which surprised me since they just came out and I didn't think they were dealing. I guess it helps to be there 30 minutes before they open on a Thursday morning. Anywhoo, there's a group ride through Angeles Crest Highway on the 18th. You can see it in the Socal Section, you should join us! Welcome!! Hopefully I'll see you around! Welcome aboard! I love the old XS bikes, I remember when the 650's were the big talk. Check out the pic of this one I found online, I think it looks pretty sweet! Have any pics of your cafe'd 400? Welcome to the forums. Your youth is glad to have you back. Www.triboseat.com Check it out for anti slip products. I have the passenger one, and it works wonders for me when I have someone else.